■Cash sales price and transfers (1179) JD / dollar, including the central bank and a commission of $ (13) dinars per dollar. 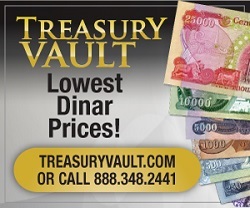 ■The cash purchase price of U.S. $ (1171) dinars / dollars. 2. quantity sold in cash $ (29,450,000) and the quantity sold $ remittances of $ (461,000,173) dollars.